Электронная шпаргалка по тестам SеаguII : CBT (Computer Based Training) и CES (Crew Evaluation System). 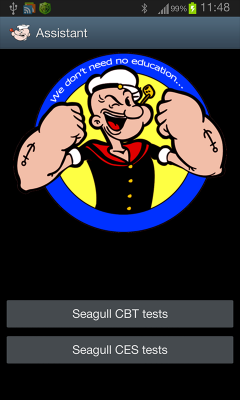 This application for Android OS phones with answers toSeagull test : CBT (Computer Based Training) and CES 5 (Crew Evaluation System). It will be useful for all seafarers. User-friendly interface and text search. Удобный интерфейс и поиск по тексту.